Iroquois artists began creating three-dimensional beaded items in the late 18th century. The first beaded pincushions and wall pockets were small, but they increased in size and quantity during the 19th century. Two centers of beadwork making arose: one around Niagara Falls in western New York and southern Ontario, and the other around Montreal in southern Quebec and the adjoining parts of eastern Ontario and northern New York. By the end of the 19th century, large brightly colored pincushions, wall hangings, purses, and other items were made for an active tourist market. 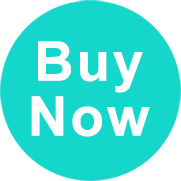 Recently these art forms have become highly collectable by individuals and museums. Over 60 forms of beadwork were developed. As in the 19th and 20th centuries, many Haudenosaunee artists continue to create colorful beadwork in the 21st century. Beads have long been a part of the exchange of goods in Southeast Asia. Indo-Pacific beads were traded in Southeast Asia and colored beads from China were exchanged for spices and forest products from the Indonesian archipelago. The Straits Settlements, comprising the ports of Singapore, Malacca, and Penang, was formed in 1826, to consolidate the trading position of the British in Southeast Asia. Singapore, in particular, developed into a major entrepot of the 19th and early 20th centuries. This article plumbs the rich statistical records of the Straits Settlements to examine the changing role of the Straits Settlements from a bead emporium to a consumer of beads, with Singapore acting as a distribution center for a growing domestic demand for beads. Faceted-spheroidal mold-pressed beads have been manufactured in Bohemia since the 18th century. Evolution of manufacturing technology has resulted in the creation of bead attributes that can readily be observed on beads from archaeological contexts. Many North American archaeological sites contain examples of this bead type; but few reports have identified the attributes, much less recognized these beads as mold-pressed. Enough evidence now exists to suggest that some of these attributes have temporal significance for dating archaeological bead assemblages. Terminus post quem dates for faceted-spheroidal mold-pressed bead attributes are hypothesized, and a strategy for future research is suggested so that a more precise temporal sequence can be constructed. The people of the Amazon Basin have an incredible array of organic materials available to them, which they use to make beads and pendants. The Carnegie Museum of Natural History in Pittsburgh, Pennsylvania, has extensive recent collections from the Amazon Basin, with hundreds of necklaces, belts, aprons, and ear and arm ornaments which contain beads made from organic materials. These collections are used to illustrate a variety of the beads and their materials. Beads and similar ornaments appear early in the archaeological record associated with modern humans (Homo sapiens), first in Africa and somewhat later in Eurasia. They are thought to be among the first indicators of human use of symbols. This paper discusses criteria used to distinguish early mollusk-shell beads from other kinds of shells in archaeological deposits, focusing on evidence from the site of Üçaǧizli Cave in Turkey. Upper Paleolithic beadmakers at this and other sites clearly preferred certain forms of shell for ornamental purposes, although the reasons for that selectivity remain obscure. 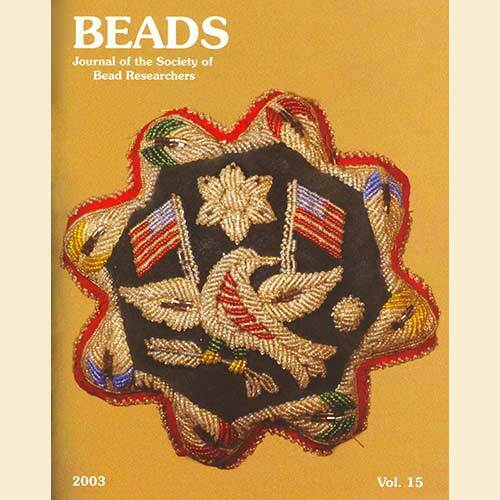 Beadwork: A World Guide, by Caroline Crabtree and Pam Stallebrass (2002), reviewed by Margret Carey • A Bead Timeline. Volume I: Prehistory to 1200 CE, by James W. Lankton (2003), reviewed by Marilee Wood • Amber in Archaeology, Curt W. Beck, Ilze B. Loze, and Joan M. Todd, eds. (2003), reviewed by Karlis Karklins.